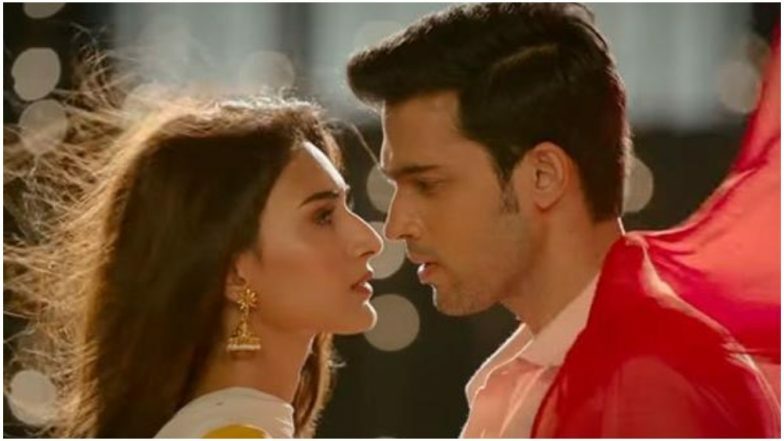 Today’s episode of Kasautii Zindagii Kay 2 starts with Komolika (Hina Khan) video calling Prerna (Erica Fernandes) and showing her the room in which she and Anurag (Parth Samthaan) are going to spend their first night and says how much Prerna tried but everything failed and that she feels sad for her. Komolika tries to make Prerna jealous by showing her the place and tells that she is going to fail in the challenge. Komolika disconnects the phone and is happy as she was successful in making Prerna jealous. Komolika tells Anurag that she will wear the special dress that she had brought specially for her first night and goes to change. Anurag is tense as what will he do and how he will stop her from coming close to her. There Prerna is tensed as she cannot think about Anurag and Komolika coming too close to each other and thinks she made a big mistake by sending them for the honeymoon. Suddenly Prerna gets an idea and she smiles. Meanwhile Komolika wears her honeymoon dress and come close to Anurag and try to get intimate with him. Anurag feels uncomfortable and tries to stop her and suddenly goes to the bathroom and tells that he will just come back as he wants to freshen up. There some police officer comes in the hotel to check every room. Someone knocks the door, Komolika goes to open it and see the police ask what they want. They ask who she is and with whom she has come here and misbehaved with the police by throwing water on his face. The police arrest them both and take them. In the police headquarter, Komolika is warning the officer that he does not know who she is and what she can do. The officer says that as soon as the investigation is over he will let them go, Komolika tells him that they were staying in the hotel and they did not know that it was a shady hotel. Komolika orders the police officer to leave them or else she will take strict action against him. Komolika says that her father is in the ministry and she can do anything. The police tell her to shut up and do as they say or else he will put her behind bars. Anurag sees this and thinks this girl is fearless and because her father is in power she can do anything. Komolika tries her father’s number but it is not reachable so she calls Mishka and asks where is he, she says that he is in Delhi. Komolika asks Mishka to come there and help them. Mishka is very happy as Komolika is suffering. Komolika sees Anurag smiling and asks for the reason, he says nothing and tells he will go and talk to the police officer and tells the police officer that they are real husband and wife. The police officer asks for some proof or witness to prove that they are married. Anurag gives him a number so that he can call and ask for some proof. Komolika asks whose number he gave, Anurag tells that he gave Mohini’s number. Meanwhile, Mohini is having fun with her friends in the Basu house, they all praise Komolika as she is so beautiful and so elegant. Mohini feels proud of hearing all this. There Prerna is thinking why Komolika or Anurag did not call Mohini till now and hear her phone ringing which is in her room. Prerna goes to her room and receives the call, the police officer asks whether she knows Komolika and Anurag Basu and tells her to come to the police station. Prerna says she will definitely come. In the precap, Prerna comes to the police station with some ladies and insults Komolika.